Gold Ore Laced With Lead Poisons Children In Nigeria : Shots - Health News Gold ore mined in northern Nigeria is mixed with lead. When the ore is dug up, crushed and processed, the lead escapes into the air and settles on the ground. Children are being poisoned when they swallow lead-contaminated dust and dirt. Four-wheel drive is no match for the mud on the road to a gold mine in northern Nigeria. There's a crisis of severe lead poisoning near the mines that's killed hundreds of children and made thousands more sick. The gold deposits are in a remote part of the country, near the border with Niger. Even in the best of times, it's a challenge to reach the mines. Right now, the journey is made tougher by a gasoline crisis that's led to long lines at most service stations. Others have simply locked their gates. Nigeria may be Africa's largest oil producer but it imports most of its refined petroleum products. Bottlenecks at the docks, strikes among drivers of tanker truck and floods can send the Nigerian gasoline market into a tail spin. So I considered flying up to the North from the southern city of Lagos or the inland capital Abuja. But as I was planning my trip, Nigeria Airways went out of business. Then the largest domestic carrier Arik Air canceled all its flights after the government blocked it from operating. I was already leery of flying because Nigerian airlines have had more than their fair share of crashes. So in the end I decided to fly Air France from Paris straight into Abuja and rent a car from there. Zamfara state, site of gold ore laced with lead, is located in northern Nigeria. The drive from Abuja to the state of Zamfara, where these mines are, took all day. Once there, NPR photographer David Gilkey and I tagged along with a Doctors Without Borders team that was going from the regional hub of Anka to the mining town of Bagega. They were travelling in a pair of four-wheel-drive Toyota Land Cruisers. It took almost three hours to cover 20 miles. One of the Land Cruisers got mired up to its axles in mud and had to be winched out with the help of some local herders. From the village of Bagega, we still had another 40-minute motorcycle ride on narrow footpaths to reach the mine. Hornbill birds swooped down from the trees and white cattle with huge horns occasionally blocked the way. Finally, we reached the Bagega gold mine. The bustle of human activity felt out of place after the serenity of the bush. Men covered in dust scurried into narrow, hand-dug shafts. Others hauled buckets of raw ore out of the pits with long ropes. Pick axes clanged and shovels scraped against rock creating a constant, rhythmic cacophony. The mining shafts dropped randomly into the ground across an area about the size of two football fields. Women were cooking over open fires. Some miners were sleeping in rustic lean-tos made out of sticks covered with grain bags. There was the pungent smell of marijuana in the air, and the presence of a few stoned young men to confirm it. Not only are there no roads, electricity or cellphones here, there are no formal jobs. Several of the men said gold mining is their only way to make a living. The problem is that these unauthorized gold mines have been killing kids in the nearby villages. In this part of Nigeria, the gold ore under the ground is mixed with lead. When the ore is dug up, crushed and processed, the lead escapes into the air. 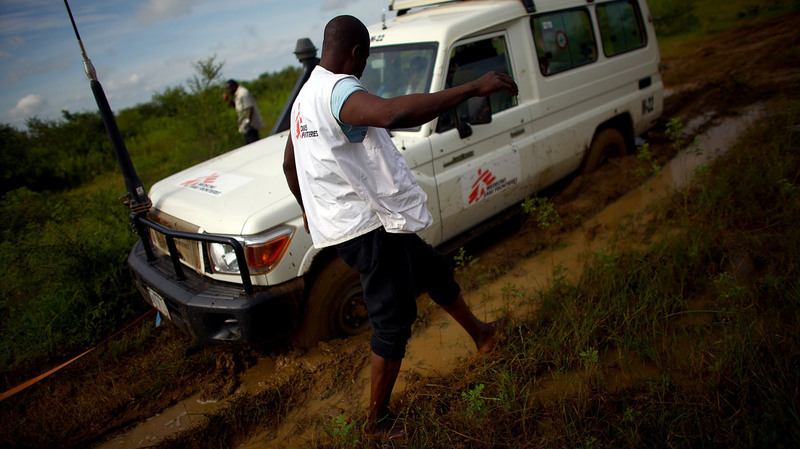 "The problem is that children eat dirt," says Ivan Gayton, the head of mission for Doctors Without Borders in Nigeria. "And when they have dirt that's contaminated with lead from mine tailings, they eat that and absorb it." The group has been trying to treat the kids who are most affected by lead. The lead also is absorbed by adults, but it has more of an effect on growing children. Children also tend to dig their fingers in the ground and then put them straight in to their mouths. "The lead here is lead oxides and carbonates that are not water-soluble, but they're soluble in stomach acid," Gayton says. "So there's no skin pathway. There's not much of an inhalation pathway. It's really an ingestion pathway. People get poisoned when they eat this dirt. And kids always take in a lot more dirt than adults." Over the last two years at least 400 kids here have died from lead poisoning and thousands more have been sickened. Doctors Without Borders is treating 2,600 kids in this part of Nigeria for extreme lead toxicity and they expect even more children to be brought in to the program in the coming months. 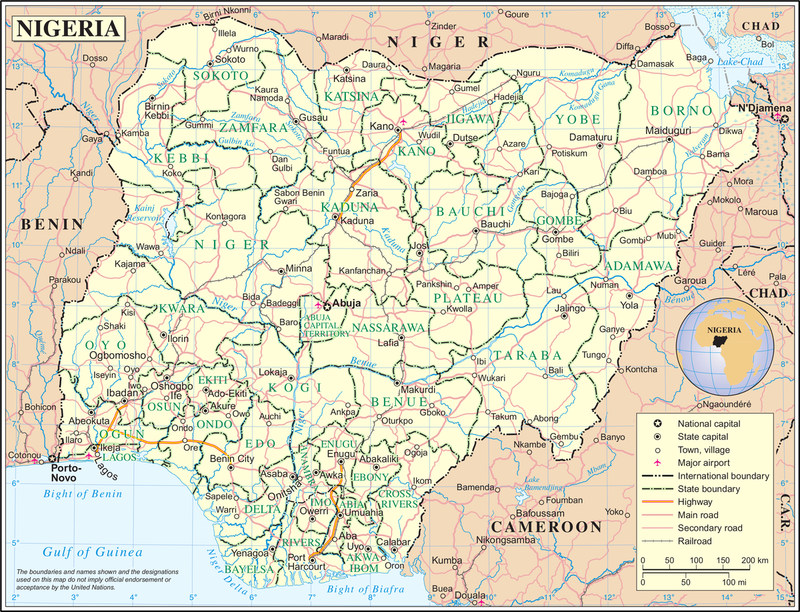 Editor's note: Listen for Beaubien's report from Nigeria this week on NPR.